GWS offers a comprehensive and wide range of pressure vessels for heating, thermal, pressure booster, water hammer, reverse osmosis and water well applications. GWS' products are available in more than 100 countries worldwide covering Central and South America, Europe, The Middle East, Africa, Australia, New Zealand and Asia. GWS is a member of the Swan Group. 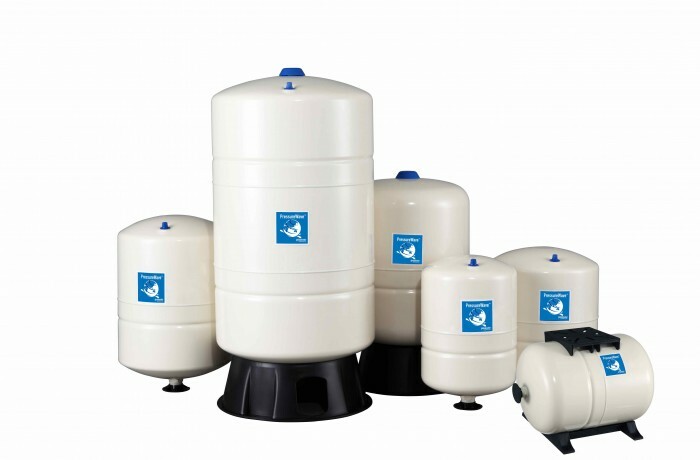 GWS unique product offering includes both its patented CAD2 diaphragm tanks as well as its line of single diaphragm tanks with a patented water connection and now also a series with replaceable tiered membrane design. All our products undergo a series of tests to insure the excellent quality. Beyond that, we offer an extensive warranty. GWS sister company Flexcon Industries, based in the US, produces the Challenger™, C2Lite™ and FlowThru™ with patented CAD2 single diaphragm and is responsible for sales in the US, Canada and Mexico. Our other sister company Tankpac Industries, Taiwan, on the other hand produces our PressureWave™, HydroGuard™, Max™, UltraMax™, M-Inox™, ThermoWave™, HeatWave™, SolarWave™, RoWave™ with patented water connection and handles local OEM Reverse Osmosis Sales. In addition, GWS has a strategic partner in Turkey manufacturing large and high pressure vessels complementing its own products. Booster systems, water well systems, sprinklers, HVAC, thermal expansion, irrigation systems, water hammer arresting. Reverse Osmosis (RO) purified drinking water systems. High pressure applications (16 and 25 bar). Stainless steel tanks ideally suited for special demands and environments.